After a near-catastrophic encounter with a purple worm last session, our heroes found themselves deep in the Underdark with no clear route back to the surface. With few other options, they continued onward. After resting in a tunnel and being lucky enough not to be stumbled upon by a wandering monster, the group traveled deeper into the Underdark. After a long walk, they happened upon a pile of bodies littered about the floor, and a pair of lizardfolk sitting on a ledge, chatting with one another casually. The group approached cautiously, but the lizardfolk seemed friendly enough, despite arguing with Rurik after making some derogatory comments about their more savage kin who had passed through earlier. The other characters managed to keep the dwarf barbarian from charging, though, and a battle was avoided. Just a bit farther down the tunnel, a lone kobold stood in the group's way. It sheepishly asked for tribute, and seemed to think the group would know exactly what he meant by it. It didn't take long to realize that the kobold and its friends behind arrow slits in the walls, wanted a respectable magic item as payment for safe passage. Each time the group offered an item, they had to hold it up in front of one of the arrow slits, where a spellcaster on the other side examined its aura and determined if its enchantment was strong enough to suffice. As they offered nearly-drained wands and other inconsequential items, over and over they were told "no." Finally, a figure on the other side suggested Rurik's axe as payment, and the rest of the group knew that if something wasn't done soon, the dwarf would start swinging that very axe. Kjell started talking, but it turned out that Mercy was actually more influential with the kobolds. They had come to realize in conversation that a drow had been allowed to "go downstairs" just an hour or so earlier without payment, and Mercy convinced the creatures that they should be invited downstairs as well since they were friends of the drow who had just arrived. Locked doors were opened, and a single kobold led them down a knotted rope into a cavern full of resting kobolds. As they descended, a giant bat with glowing green eyes stared them down, but made no move to attack. 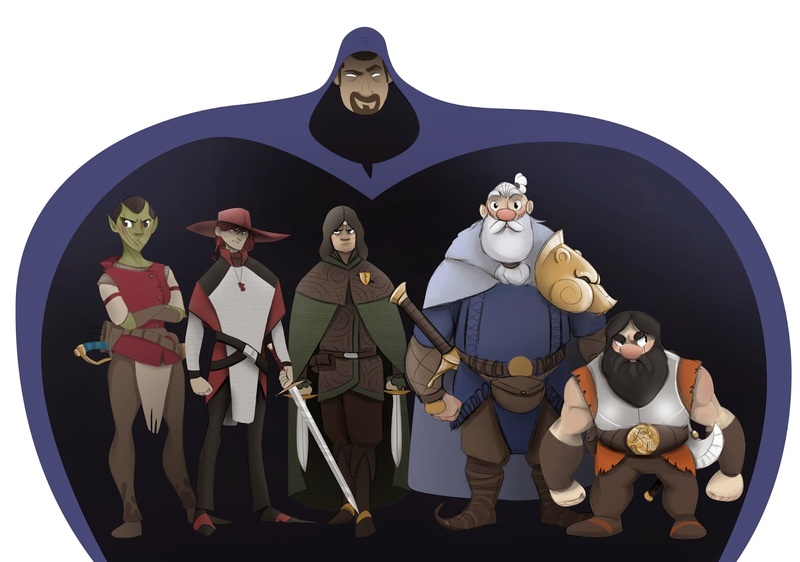 In the next cavern, they passed by several groups of guards and were led to the lair of a humanoid serpent, where it was holding a conversation with a drow. 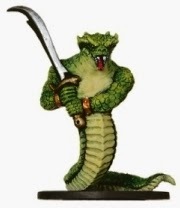 Although they attempted to talk down the yuan-ti, it refused to hand over its prized tribute payments, and eventually Kjell declared that they were at an impasse. Blue and Rurik sprung into action, trying to push two of the guards into a crevasse separating the heroes from the snake man, and one fell in. Meanwhile, the drow backed out of the room. In the end, the yuan-ti and his guards fell one by one, and the heroes found the magical bag Hadrogh had sent them to recover. As they looted the room, they heard a voice from below, calling for them to look down into the crevasse. Rurik recognized him as the old dwarf who healed him not too long ago, and he immediately hopped down. The rest of the group followed, and the old dwarf led them to a formation of crystals, which he touched and teleported them to his cabin on the surface - one of the few earth nodes close enough to the surface to use for such methods. Once there, he chided Rurik for passing the ruined dwarf city as they chased the lizardfolk into the Underdark. He had asked Rurik to recover several relics from the ruin, and expected him to stay loyal to his fellow dwarves rather than chase the favor of a drow. He went on to explain that he had been having visions of darkness in the daytime, and drow taking over the world. These visions had started when he was young, but were growing in intensity, and he was just sure that whatever events were about to unfold, they would be catastrophic... and those relics might just save the world. Although some in the group found it difficult to take the old dwarf seriously, Rurik vouched for him. They finally agreed to seek out the relics, but decided to take Hadrogh's job first after returning his bag to him. 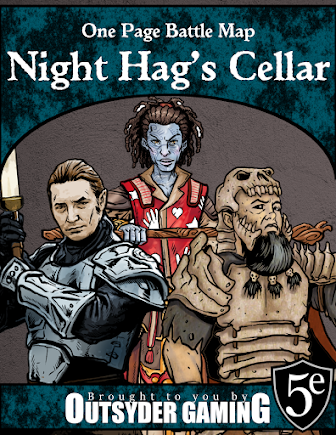 They headed straight to Dagger Falls, and met the half-drow merchant in a barn outside the city, where he had kept the group's mounts while they tracked lizardfolk below the city. He frowned when he peered inside the bag, and explained that not everything was still there, but that what they brought back would suffice. Without further delay, they were off, along with several other guards Hadrogh had hired to guard his caravan. Kjell, however, stayed behind. He had decided on their trek through the Underdark that his order was suffering from his absence, and it was time for him to move on. He bid the rest of the group farewell, and went on his way. Not long into their journey as caravan guards, Hadrogh sent the heroes ahead to scout, and they happened upon a scary sight: mind flayers attacking a pair of Underdark travelers. Seeing an opportunity to get close while they focused on the two newcomers, the heroes charged into melee and cut down the aberrations rather easily. After the short battle, the two newcomers decided to join the group, at least for a time. Next week, we'll find out where Hadrogh's caravan is going, and whether or not it will be as lucrative as he believes.